Great cleat for any position. What's most to like about this cleat is it has a modern design that is attractive, but not over the top. The key attributes this cleat offer could only help improve your game on the field. These Cleats are the hot of the press from Adidas’s lab. So let’s get into it. 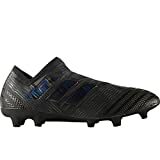 Where else can I get the Adidas Nemziz 17+ 360 Agility at? 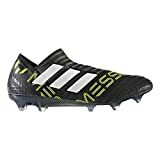 Price wise: If price is the main decider then follow the links to the recommended Amazon.com page. If you’re looking for more of a personalized soccer-focused experience then check out either Soccer.com or Soccerloco. We find it’s all about timing. In some cases, you may be able to even find better deals through weekly and monthly promotions. Both of these brands are authorities in the soccer cleat niche. 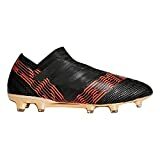 Soccer.com gives you 30 days to try out and decide if you like the cleat. If you don’t like it then send it back for another size or get your money back! Immense.